The new Apple TV is a game changer not only for Apple but also for the users. Even though the device has yet to get shipped to buyers, developers are already doing fun stuff with the tvOS simulator in Xcode. 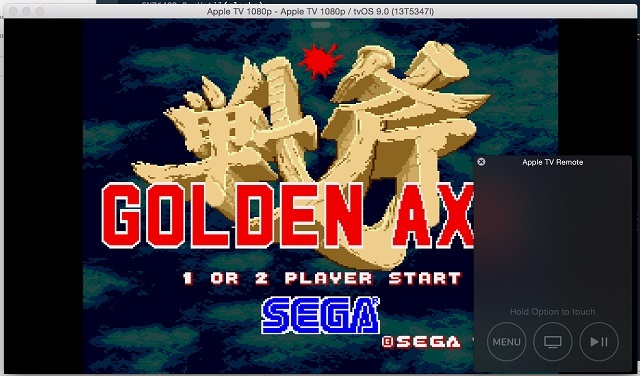 Developer James Addyman has created an emulator for classic games called Provenance, which will allow Apple TV 4th gen. users to play old games on the device. Using the open source Provenance app players will be able to run games made for different legacy hardware including Sega, SNES, NES, GBA, Game Gear and others on Apple TV. The developer who shared the screenshot above is already running Provenance emulator on tvOS simulator found in the latest version of Xcode. Surprisingly, it only took Addyman three hours to get the emulator working on the Xcode simulator. Apple TV will have its own dedicated App Store from where users will be able to download games and apps for the device, just like they can from iOS App Store. Much like the iOS App Store the tvOS App Store only has apps that have been approved by Apple, which leads us to the important question of whether Apple will allow emulators like this to be download-able from the store or not.